Q: What is spaying or neutering? Q: Why spay or neuter? A: Every year, millions of unwanted dogs and cats, including puppies and kittens, are euthanized. The good news is that responsible pet owners can make a difference. By having your dog or cat sterilized, you will do your part to prevent the birth of unwanted puppies and kittens. 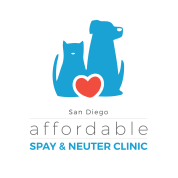 Spaying and neutering prevent unwanted litters, help protect against some serious health problems, and may reduce many of the behavioral problems associated with the mating instinct. Removing a female dog or cat’s ovaries eliminates heat cycles and generally reduces the unwanted behaviors that may lead to owner frustration. Removing the testes from male dogs and cats reduces the breeding instinct, making them less inclined to roam and more content to stay at home. Early spaying of female dogs and cats can help protect them from some serious health problems later in life such as uterine infections and breast cancer. Neutering your male pet can also lessen its risk of developing benign prostatic hyperplasia (enlarged prostate gland) and testicular cancer. The procedure has no effect on a pet’s intelligence or ability to learn, play, work or hunt. Some pets tend to be better behaved following surgical removal of their ovaries or testes, making them more desirable companions. Q: What are the risks of spaying and neutering? A: Although reproductive hormones cause mating behaviors that may be undesirable for many pet owners, these hormones also affect your pet’s overall health and can be beneficial. Removing your pet’s ovaries or testes removes these hormones and can result in increased risk of health problems such as urinary incontinence and some types of cancer. Talk to your veterinarian about the benefits and risks of the sterilization procedure so you can make an informed decision. Before the procedure, your pet is given a brief physical examination to ensure that he/she is in good health. General anesthesia is administered to perform the surgery and medications are given to minimize pain. You will be asked to keep your pet calm and quiet for a few days or weeks after surgery as the incision begins to heal. Q: When should I spay or neuter my pet? A: Consult your veterinarian about the most appropriate time to spay or neuter your pet based upon his/her breed, age and physical condition. Keep in mind that, contrary to popular belief, it may NOT be best to wait until your female dog or cat has gone through her first heat cycle. Q: How do I decide? A: Discuss your options with your veterinarian so you can get answers and make an educated decision. Q: How long should I keep the elizabethan collar on? A: You should keep the elizabethan collar on for at least 14 days. Q: Should I put any topical medication on my pet's incision site? A: No, we do not recommend you put anything on top of the incision site (unless noted by the doctor) to allow proper healing. Q: When will my pet be ready for pick up? A: Due to our high volume but low cost clinic, we cannot predict the exact time for pick up, so we will call you once your pet seems to be ready and awake enough to go home. Q: Can I get vaccines at the same time as the surgery? Q: There is a lump on the incision site, should I be worried? A: Most of the time, the lump under the incision is just scar tissue forming under the skin, but if you are concerned, please give us a call at 760-532-9335 or Parkway Pet Clinic at 760-743-0973. Q: My pet isn't eating normally the day after surgery, should I be concerned? A: It is fairly common for pets to have less of an appetite post op but if you are concerned, please contact us. Q: Is it okay that my pet licks his/her incision site? A: No, we want to prevent any licking of the incision site because it can cause irritation, infection or can pull the skin glue apart. Please put an elizabethan collar on and keep it on for the next 14 days after surgery. Q: Can I take my dog on a walk right after surgery? A: We recommend you let your pet heal up before you take them on long or strenuous walks. You may take your pet on short and slow leash walks during the healing time but please note that this can cause swelling around the surgical site. Q: Can I feed my pet food after I pick him or her up from surgery? A: You may feed your pet a small amount of food about 6 hours post op. Keep in mind that your pet may be nauseous after the surgery and may throw up. A: You may start the medication that night along with a small amount of food if your pet seems painful. We do administer an injectable pain medication during the surgery but some pets are more sensitive than others and have lower pain tolerance, so you shouldn't be too worried if your pet seems a bit sore. Q: Do I really have to keep my pets apart during the healing process? A: We recommend keeping your pet away from other pets during the healing process because the other pets might lick and cause harm to the incision site. Q: Do I need to come back for suture removal? A: Most likely not. Most of our pets receive dissolvable sutures and do not need to come back for suture removal. There are cases where the doctor deems it safer for the pet to receive traditional sutures or staples which require removal about 14 days post op. A: We have licensed doctors who have performed hundreds or thousands of spays and neuters. Q: What kind of carrier is acceptable for my cat or rabbit? A: We will accept metal or hard plastic carriers that can open and close easily and that are lockable. We will not accept hand made carriers that are deemed unsafe for your pet or thin material carriers. Q: What should I expect for recovery? A: We recommend spaying and neutering your pet while they are young because after the age of 7 months, recovery can be a bit more difficult on their bodies.